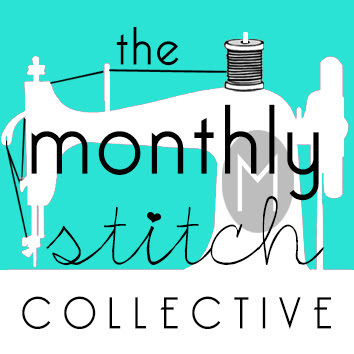 This month Pattern Review is doing a really fun contest, modelled on the Great British Sewing Bee (a show I really love) It's set up so that's there is an assignment each week, and then you find out if you go on in the competition at the end of each challenge. This first week was an A-Line Skirt; I joined in, but alas, will not be moving on. 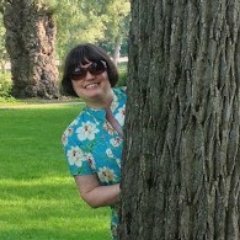 Probably a good thing; now I can cheer for everyone else while getting busy on all the Christmas sewing I have in the queue! And pushing myself to do this in a week (actually less) really helped me get over that 'sewing block' I've had for the last month or two. 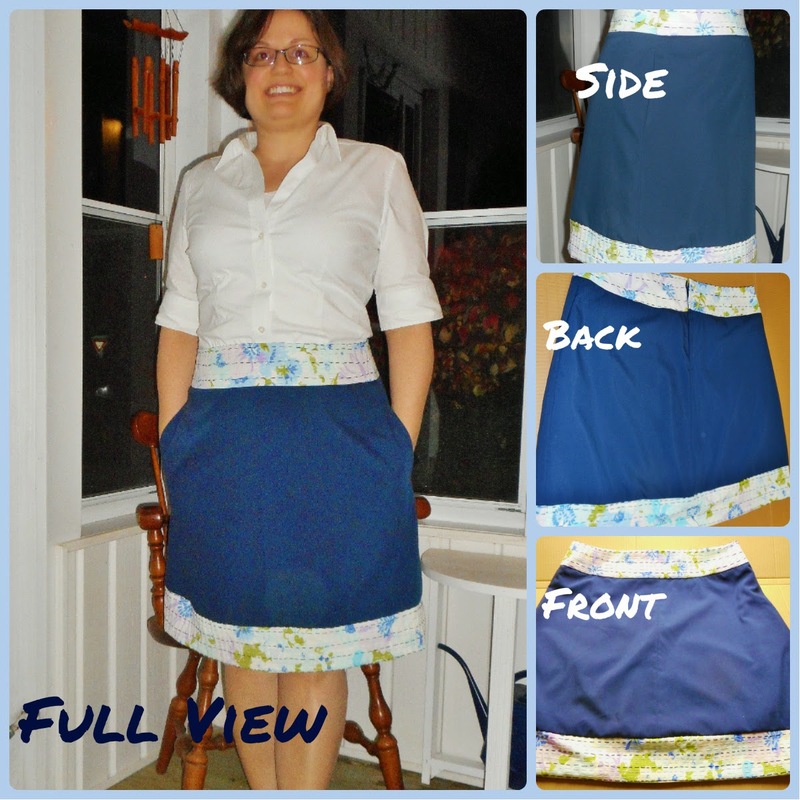 For my attempt, I used a vintage pattern that I have had in the stash for a while, Simplicity 9825. 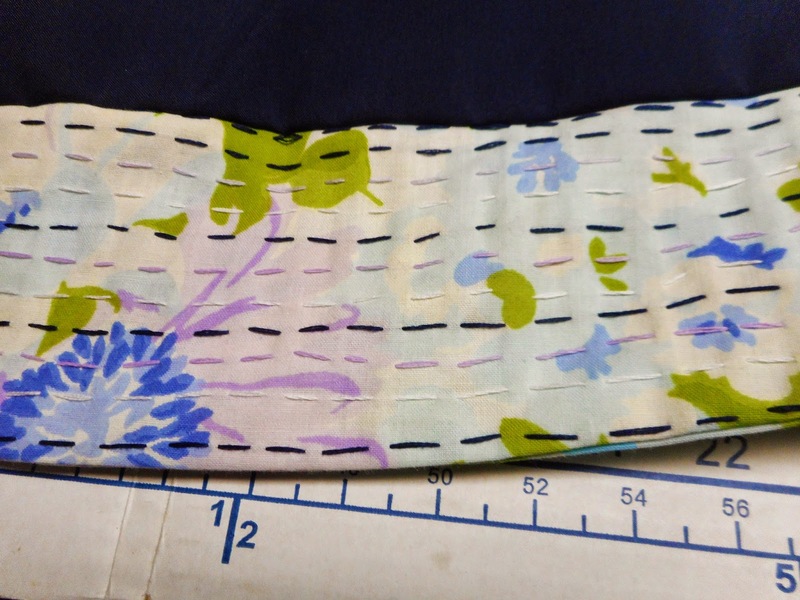 I also used some navy polycotton from my stash, and made a contrasting waistband from a floral sheet with nice blue/purple tones in it. 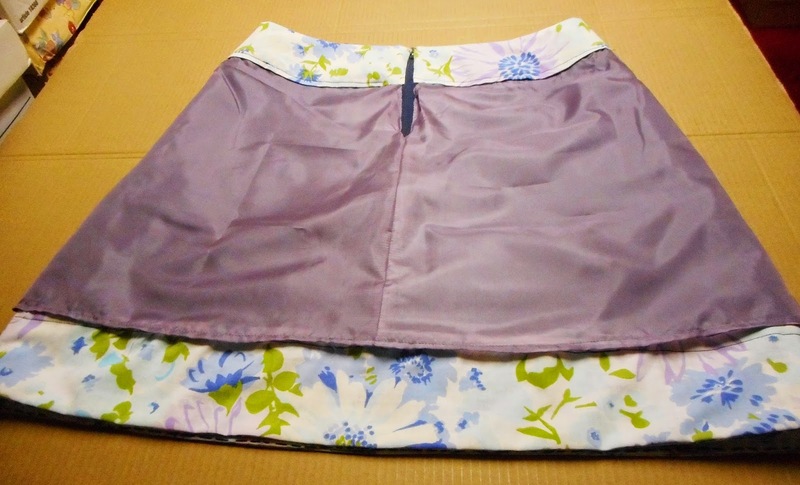 The skirt pattern was only 17 inches long but instead of lengthening it I added a contrasting hem band of the same floral. I had fun doing this, even though 3 of the 7 days of the challenge were taken up with my being away from home. I sewed like the wind the rest of the time -- until the late nights, resulting in dark pictures. But one of the results of my weekend away was that I discovered a style of embroidery called Kantha, which comes from the region of Bangladesh/West Bengal. (one of the people at the class I was at also ran a charity selling hand-stitched scarves from that area) Kantha is a style that uses a simple running stitch that adds some really nice texture to cotton fabrics (often old saris) It can get a lot more fancy too -- but I just wanted to try this out with the basic stitch. So I stitched the waistband and hem band as contrast. It was a lot of fun, and I really, really like how it turned out. It feels pretty and it fits, yay! Here are more pics.